March, 27. 2019, 5 p.m. Bringing Mexico closer than you can imagen … Time travel to Mexico through folk dancers! For the First Time and only One Night performing in Hungary, organized by the Embassy of Mexico in Hungary, the Oaxacan Folklore Festival bringing performance of the folkloric dance group of the Blaise Pascal Institute of Oaxaca. The presentation of the students of the Blaise Pascal Institute of Oaxaca is an event that is part of the intercultural dialogue between Hungary and Mexico with the purpose of showing Oaxaca’s popular traditions alongside with its colors, dresses and dances. The Folkloric Group of Institute Blaise Pascale S.A. was founded in 1992 and has pursued two fundamental objectives since its initiation. Firstly, to ensure that the new generations, the young people of to-day who live, immersed in a world of global communications, through dance enjoy a connection with their indigenous ancestry and mixed-heritage and take pride from it. Secondly, their aim is to promote tourism (important economic source in Oaxaca) and present to both … own people and people abroad the most important folkloric festival of their State: Guelaguetza. 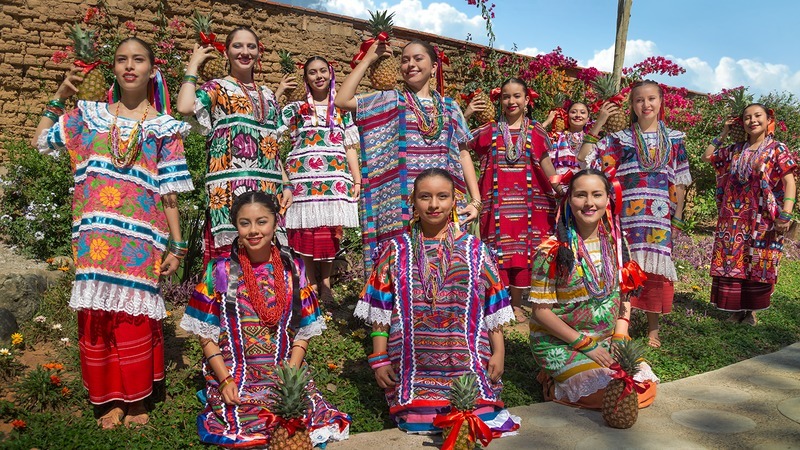 As the cultural ambassadors of the group has represented Oaxaca, Mexico, in as diverse and far away countries such as: Japan, Switzerland, Bulgaria, Costa Rica, Argentina, Uruguay, Brazil, The United States, and Canada. The program will also include an art exhibition of different traditional textiles from Mexico at the Borbély Jolán room.